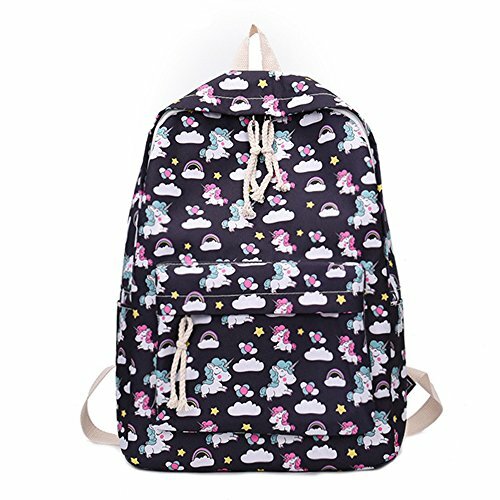 High volume backpack with Unicorn print design. Perfect gift for you and your friend. 1. Why the backpack I received is larger / smaller? A: Since the size above is measured by hand, the size of the actual item you received could be slight different from the size above. 2. Why the color of the bag I received is different from the pictures? A: Due to lighting effects, monitor's brightness / contrast settings etc., there could be some slight differences in the color tone of the pictures and the actual item. Please wash it with clean water of ordinary temperatures. If you have any questions about this product by SymbolLife, contact us by completing and submitting the form below. If you are looking for a specif part number, please include it with your message.